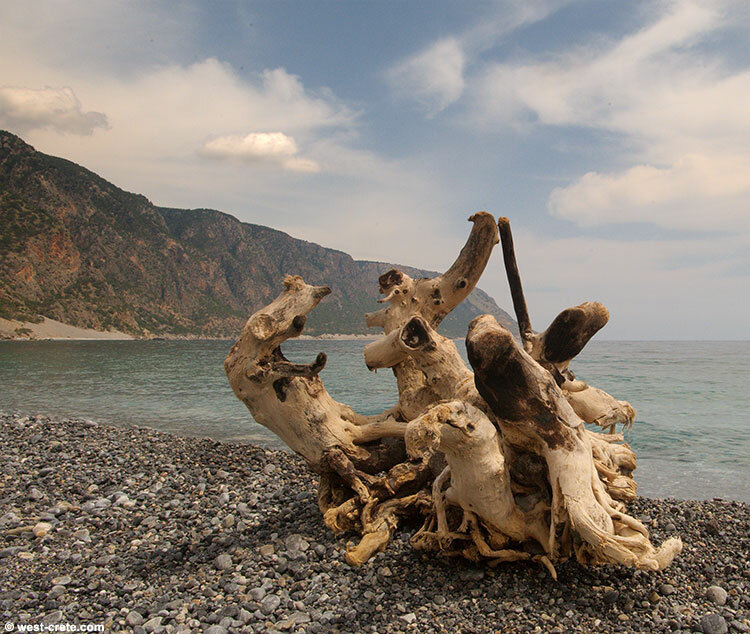 A tree root on the beach east of Agia Roumeli. It think that it belongs to a small plane tree. It was probably uprooted in the gorge of Samaria during the winter, carried down to the sea by the river and thrown back to the beach by winter storms. There is generally a lot of wood (sometimes whole trees) on that beach.